In my philosophy class, we read We by Yegevny Zamyatin. In that society, there is a wall that confines people, who are all named with alphanumeric codes. The wall and the operations they receive are meant to prevent them from having an imagination so they can't rise up against the government. 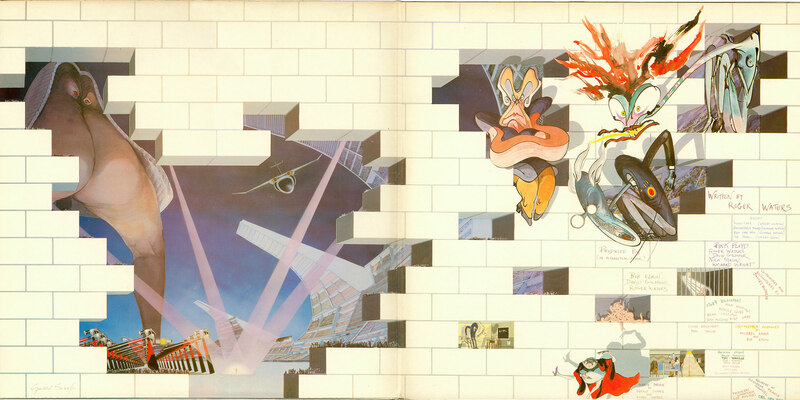 But when you open it, it looks like this to show what's happening on the other side of the wall. If you liked We you should check out the book The Anthem by Ayn Rand! It explores the same kind of concepts and it's a quick read! In her dystopia there is no longer the word or concept of "I" which is a pretty trippy thing to contemplate.